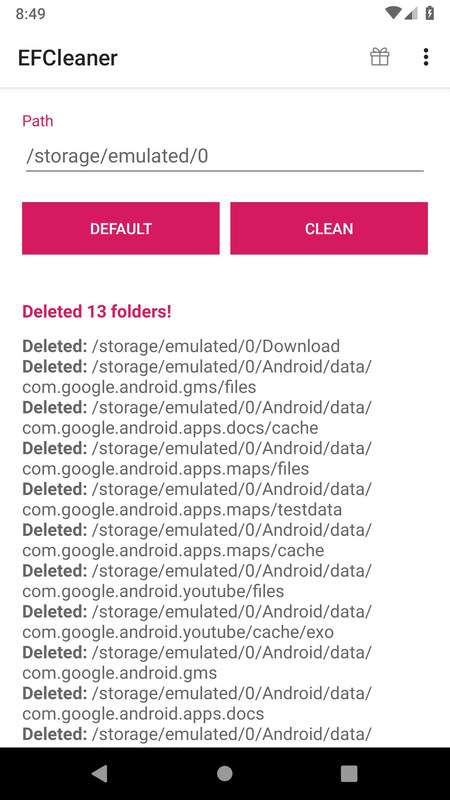 This app will help you delete all empty folders and subfolders on your device. Also you can select folder to delete all empty folders and subfolders only inside of it. Some of the new phones create a lot of folders for photos for example. The new Pixel Phones create new folder for every new Portrait Photo made with the default Google Camera. After deleting some of the portrait photos from the Photos app the folders stay on the phone (you can see them with simple file manager). This app will delete all of those old folders in a second. And don't worry! This app will not delete folders that are not empty! Deleting default folders on your device is not bad for the device. It will create all system folders again when necessary.